Projects to rewrite newspaper articles, government documents and even manga normally too difficult for persons with mental disabilities to understand have taken off in Japan, thanks mainly to endeavors by a local civics group. While progress has been made toward achieving full barrier-free access for the physically disabled with the installation of ramps and other facilities, measures to clear obstacles in the way of the mentally disabled have been sorely lacking. Helping to change that is a civics group called "Slow Communication" based in Yokohama, southwest of Tokyo, which publishes easy-to-understand Japanese news articles on its website. All the sentences are short and the Chinese characters come with smaller kana, or syllabic characters, to assist with pronunciation. One recent bare-bones article reads in part, "On Jan. 26, 2019, tennis player Naomi Osaka won a tennis championship. The championship won by Osaka was the Australian Open..."
As a rule, neither double negatives nor metaphors are used in constructing the sentences and there are many line breaks. Readers can also click a play button to hear an audio version of the article being read at a slow pace. Slow Communication was founded three years ago by university faculty members and newspaper reporters with the purpose of "providing the necessary information so that mentally disabled persons can be included in society and make their own decisions." It also conducts other projects such as drafting simple contracts for the mentally disabled as part of its welfare service. Miki Koike, 46, who participates in the group's activities and is herself mentally disabled, said, "Regular news and newspaper articles are too difficult for me to understand. When people around me say, 'Did you hear about this news?' I'm sad because I can't follow what they're talking about. It would be helpful to have more simple information (like Slow Communication's)." The Yokohama city government cooperates with the group and produces documents for mentally disabled persons. For example, it has published a pamphlet that explains in plain language the city's welfare program for persons with disabilities, and is also considering creating application forms for local government administrative procedures written in a way they can understand. "Taking into consideration the 2016 law banning discrimination against persons with disabilities, we would like to continue to enhance our efforts," said a city official. There is even an undertaking to remodel manga. 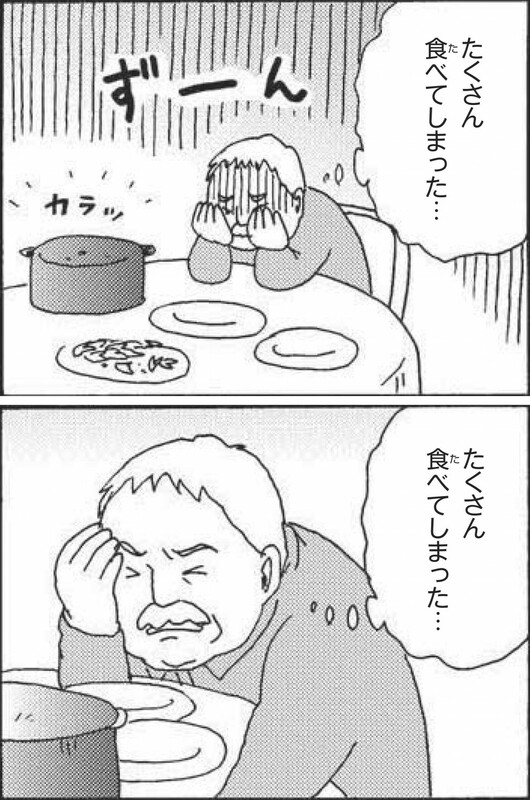 Traditional Japanese manga read right to left, starting in the upper-right corner of the upper-right panel. They are also rich in words that mimic sounds by living things, sounds found in nature and other sounds. "The thinking is since they're manga they're probably easy to understand but this is actually not the case," said Kazuma Yoshimura, a professor of manga studies at Kyoto Seika University. For example, vertical lines etched down the face of manga characters, which are used to express bewilderment, or the order in which the panels are to be read, are drawn on the assumption that the reader has the ability to understand what they mean, Yoshimura said. Yoshimura, who works in a group with other researchers, creates two comic scripts, a regular one that includes words that symbolize sounds, and another one with a simplified panel layout and few symbols. Last year Japanese publisher Jusonbo released a book called "An Invitation to LL Manga," explaining how to produce easy-to-understand manga for people with mental disabilities. LL is an abbreviation of the Swedish for "easy to read." 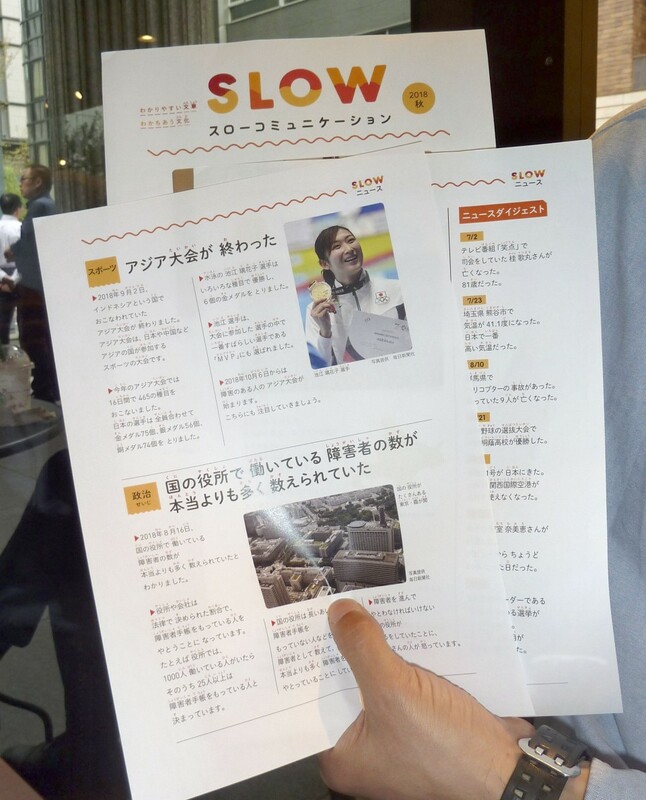 "This is even easy for non-Japanese to read, so it can help contribute to the realization of an inclusive society (in Japan)," Yoshimura said. Even so, more help is needed, he said. "Publishing on a commercial basis is difficult so it is necessary to get public financial support to cultivate such cartoonists."